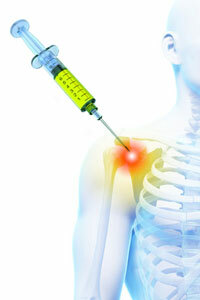 Impingement syndrome and rotator cuff disorders often cause the shoulder pains. Both conditions are chronic and painful. They result from inflammation and damage to the areas within the subacromial space. These areas are the subacromial bursa and the rotator cuff tendons. Corticosteroid injections may help to lessen inflammation in the shoulder and reduce shoulder pain thus helping to improve the range and motion of the shoulder and making physical therapy possible.